Dr Barnett invites us to read the story sensitively and prayerfully to hear the voice of God speaking through the text. John's Gospel gives more details about people, times and places than the other three gospels combined. His purpose was to assure readers that he was an eyewitness and that they could have confidence that Jesus was the Christ. Under Paul Barnett's guidance 21st Century readers will appreciate the geographical, historical and cultural details that authenticate John's gospel. Like the writer of the gospel, Paul Barnett invites us to read the story sensitively and prayerfully to hear the voice of God speaking through the text. With John he urges readers to see that Jesus is the Messiah and follow him. Paul Barnett manages to give a clear analysis of the text with a lightness of touch. This is a very helpful non-technical commentary. However, that does not mean that Barnett's comments lack depth. It is that he only feels the need to explain Greek vocabulary where it is necessary. AS a result this is a appropriate commentary to support the Bible teacher, small group studies as well as for personal devotion. 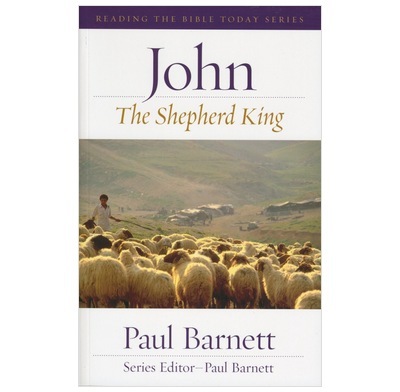 Barnett's considerable insights into the historical background to the gospels add weight to his writing.